In our digital era where people's attention is scattered between apps and websites, it's not easy to know whether you need a mobile application, or if a responsive website (that can be accessed via your web browser) would meet your needs. I have this discussion every week with new clients, and I thought it was time to share our reasoning here at Liip in order to give you a clear answer if you still hesitate. Do You Want To Reach Your Users, or Bring Rich Features to Them? When clients come with a mobile app request, I explain them that most of the time, a web application is more efficient in terms of investment, as well as in term of reach. 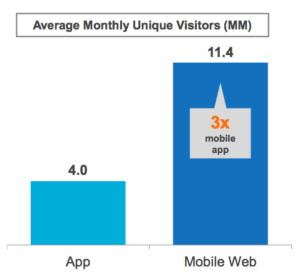 In my point of view, mobile apps are useful when they are crafted to be rich — vs. the reach that web applications can provide. Rich in terms of features that are only available on mobile devices, and that can't be achieved via web technologies. If you are already established on the digital market, a mobile app is a great loyalty tool to invest in, as it engages your audience more. 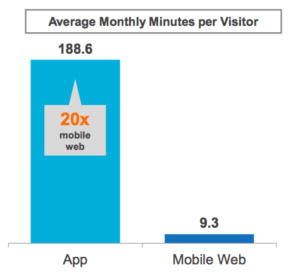 From the comScore 2016 App Report, one can learn that users spend 20x more time on apps than mobile website visitors. A bit like if an app created a bubble of attention focus. Something that the web, by essence with its linking nature, doesn't provide to visitors. However, if you aren't known yet, a website viewable on smartphones/tablets/desktops might help you to stand out as the average monthly audience is 3x more important on websites than on mobile applications. The time when you needed to choose one way or the other is behind us. Both solutions have their pros and cons, depending on your needs. In an ideal world with unlimited budgets and no deadlines, both solutions should be implemented for different purposes. If you're not in this comfortable solution, you better start with what is the most critical to your business: engage more an existing audience? Or expand your audience reach? 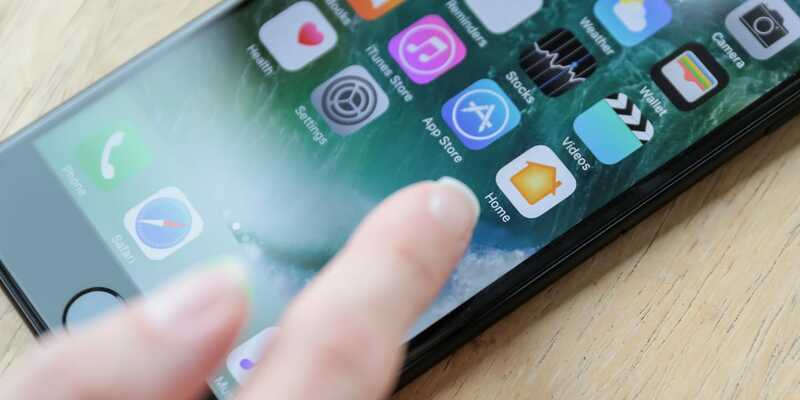 If your objective is to provide a rich experience to your clients, using the full native features offered by the latest smartphone, then you should go for a mobile application that will allow you to retain them longer. If you're in the B2B sector or have internal needs, then there are even more chances that a mobile app is a good choice for you. A choice that can leverage smartphones' native features that are often what can bring more efficiency and productivity in industries. If the goal of your new product is to reach as many customers as possible, and that you don't need to access to specific smartphones capabilities, then you should go for a web application. I'm always interested to challenge assumptions when it comes to choose between a mobile application and a responsive website, so don't hesitate to share your use cases in the comments section below, or come to our office to chat around a coffee.